There are a couple of belgian beers sold in Vietnam. Hoegarden, leffe, chimay and trappiste. The beer prices in Vietnam are low, ca 10 000 vnd for a bia hoi, 25 000 vnd for a bia Hanoi or la rue on bottle, ca 40 000 vnd for a beer in a microbrewery but about 100 000 vnd for a belgian beer on bottle. The consumption of bia hoi is massive in Hanoi. Normally you can see people start drinking from 3 pm and about 8-10 pm many places are crowded. Only in the old quarter and around Hoan Kiem lake you can estimate that about 5000 – 10 000 people drink beer every day and mostly the cheap bia hoi. The micro breweries are these days half full or one third full which is a sign that the economy in Vietnam has been better. Picture above. 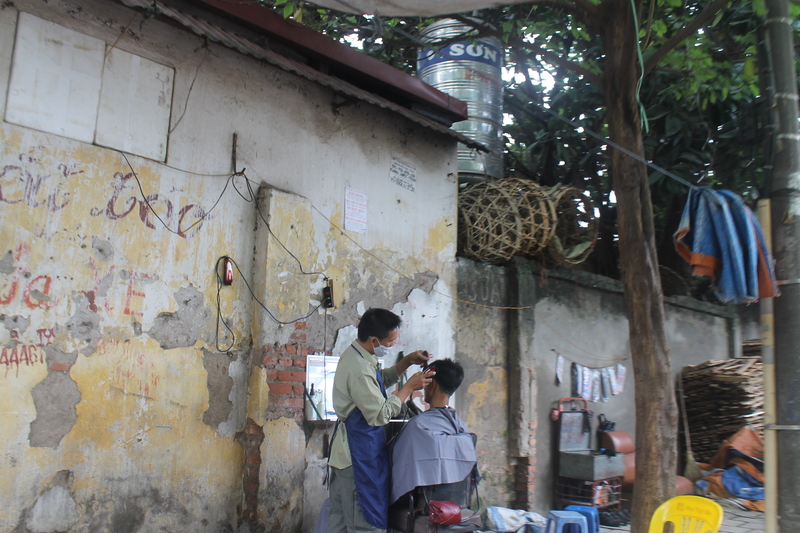 A hair cut on the street can cost 40-50 000 vnd. For that you can get 5 beers at a bia hoi or one beer, but really malty and delivered in a cold beer glas at one of the micro breweries. 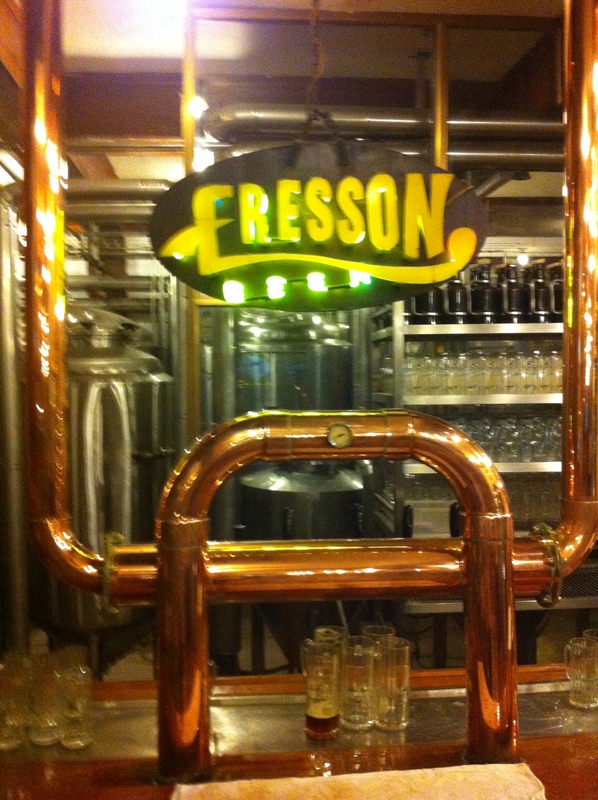 Picture below: Eresson brewery in Hanoi. Consumption of more expensive beers on bottle is going down and there is a risk that Hanoi soon will see the last bottle of hoegarden or leffe to be distributed. Bottled beer are often bought 10 000 bottles at a time and are shipped by container on boat. Long transport from Europe cuts the already short “best before date” with two months. Now the consumption of belgian beer is so low that distributors will end up with a lot of beer with its “best before date” passed. That is sad, so many beer drinkers waste their evenings drinking bia hoi and cheap lager beer while there are plenty of nice micro breweries and good bottled beer. With a monthly salary of 3 million vnd (about 150 USD) you understand that many prefer the bia hoi beer for 10 000 vnd instead of a beer in the micro breweries for 40 000 vnd (2 USD). This entry was posted in Activities and news and tagged beer in Hanoi, beer in vietnam, beer prices vietnam, belgian beers vietnam, breweries in hanoi. Bookmark the permalink.